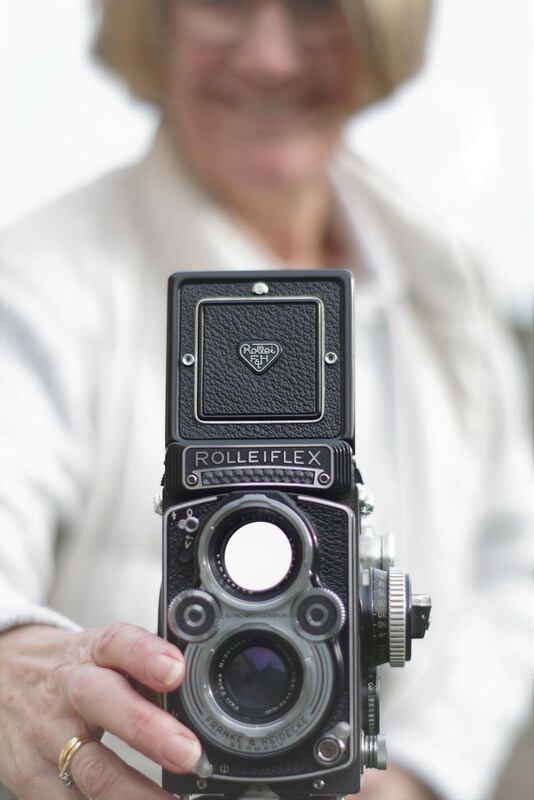 We have few photos of Mum during my childhood, because she was behind this camera. Mum'd look down into the view finder, focus, lift her head, make eye contact, smile and click. I took this little baby out for a walk today. Wasted one film by not following YouTube properly, loaded another and spend 25 minutes carefully selecting and using my twelve (!) frames. I have to wait to see the results but I fear over/under exposure and some camera shake. Tags camera, happiness, jan19words, the darkroom, i so nearly did a daffodil as they are such happy flowers but i couldn't do three flowers in a month! Saw the camera and just new it was you Jackie. Lovely! @grammyn so glad you read them!! It was sooooooo close to a happy daff!!!! @robz she'd be annoyed about the art farty focus and missing top of my head!! @30pics4jackiesdiamond Lol - a woman of principle! ahhhh beautiful memories , i dont think you need to worry about camera shake, they dont have a clanking mirror, how did you meter your shots? i have relied on sunny 16 rule and thank the latitude of film! cant wait to see! Lovely smile in the background! And I love the background story. Love old cameras. I have a box brownie. Sharp photo, love the focus and the smile! @30pics4jackiesdiamond Well done with the spot focus. I would love to have a play day with one of these. Let us know how the film turns out.